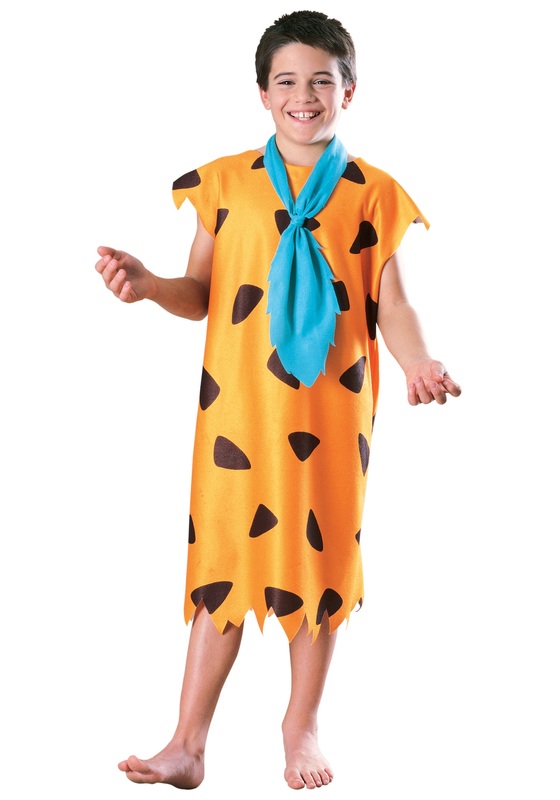 Fred Flintstone loves his job at the Slate Rock and Gravel Company. As a bronto crane operator he spends all day long sitting on top of a dinosaur collecting rocks. Once the "end of the day" bird cries out he slides down the dino's back and right into his car and makes his way home. At home he likes to relax and hang out with his best friend and neighbor Barney. But sometimes these two get into a little mischief which sometimes has Fred going into disguise. He has been various people ranging a famous movie star to racecar driver. But no matter what this prehistoric guy loves to have fun and live the easy life. Ordered this for my son. The costume fits very large - he currently wears a size 7 so I ordered the medium. It goes right down to his toes. The worst part is the tie isn’t even blue - it’s white!!! False advertising!!! I'm sorry to hear that the tie wasn't the right color! We'll make sure to check into the newest batch we've received and get it updated if necessary.